I chipped away at another bit of my fear of the unknown last weekend. 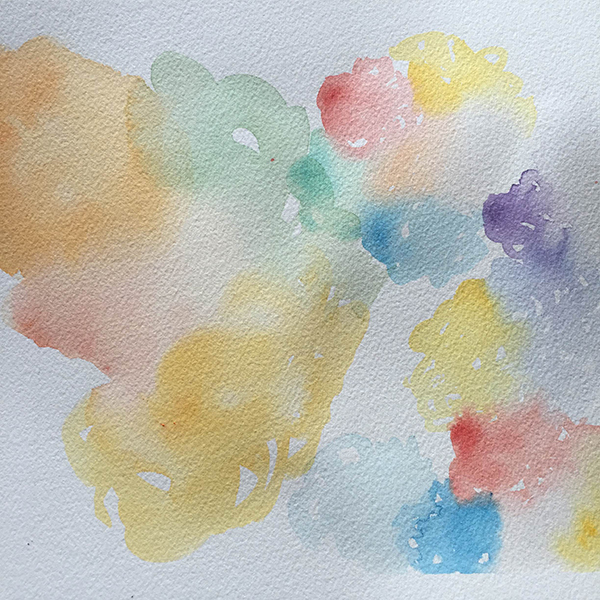 I took the Creative Girl watercolor class by Danielle Donaldson earlier in the year and loved it. 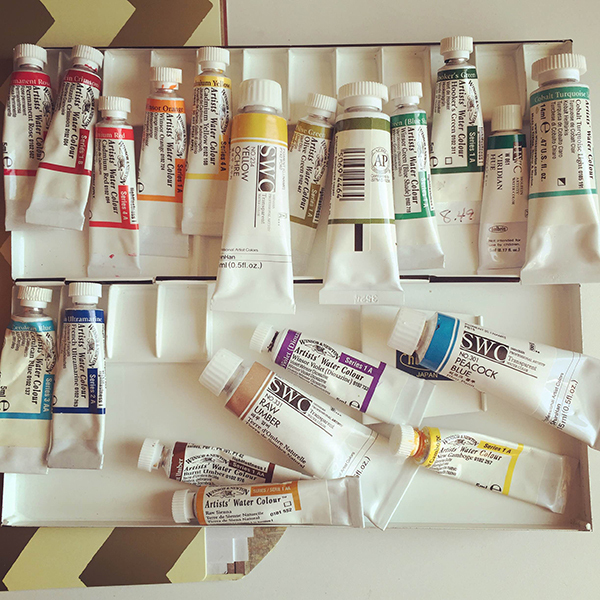 After the class was over, she announced a watercolor workshop across the country and one of the stops was Denver. I didn't think I would be able to attend but luckily things worked out so I could. This was an all day watercolor workshop and I can't remember the last time I had seven hours where it was just me focused on art. The venue was beautiful, Old Glory Antiques off of Broadway, with vintage finds all over. I was surrounded by beautiful creative women in the workshop who flew or drove from all over. Some hadn't even painted with watercolor before, it was pretty cool. We did figure eight and swirl washes of different color paints, watching how they reacted and dried. Then we tried to find the things we liked and didn't like so we could work on our own styles. Later on we worked on recreating one of Danielle's watercolor girls. I think I focused too hard trying to get what I could out of every moment because I ended up getting a headache afterward. Does that happen to anyone else or just me? 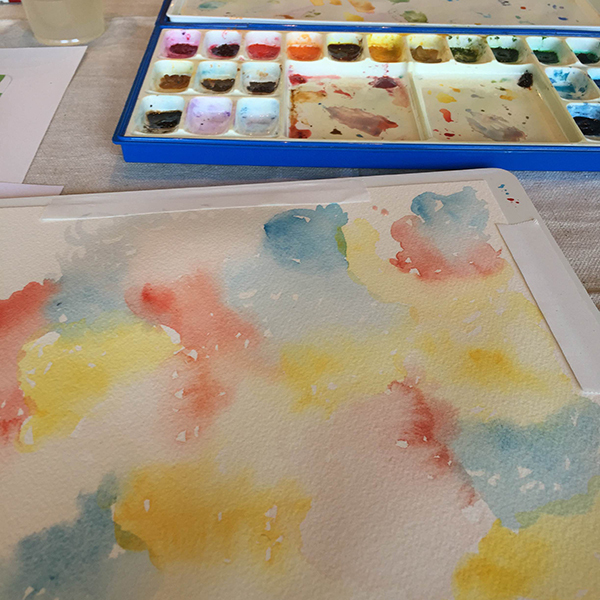 Anyway it was a great workshop and I can't wait to be able to attend more and meet more inspiring women like Jennifer Rizzo, Jeanne Oliver, Danielle Donaldson and my new painterly Instagram friends. Thanks for the connection and community.